The program offers a one year accredited fellowship in blood banking and transfusion medicine. The DeGowin Blood Center provides on-site transfusion, donor center (whole blood and cytapheresis) and therapeutic hemapheresis (including hematopoietic progenitor collection and processing) services to a large university tertiary care hospital. Daily experience is provided in blood donor selection, blood banking serology, compatibility testing and selection of special products (e.g., crossmatch compatible platelets) plus special emphasis on all aspects of therapeutic and preparative hemapheresis, platelet immunology, neonatal transfusion, solid organ and hematopoietic stem cell transplantation. Applications will be accepted from individuals who are board eligible or board certified in Pathology, Internal Medicine, Anesthesiology, Pediatrics, Obstetrics/Gynecology, Surgery, Orthopedic Surgery, Plastic Surgery, Colon and Rectal Surgery, Neurological Surgery, or Thoracic Surgery, or hold a subspecialty certificate in Hematology from an ABMS member board. Commensurate with level of training. The website of the Graduate Medical Education Office (https://gme.medicine.uiowa.edu/) contains specific information regarding stipends and benefits. Applications will be accepted until fellowship position is filled. Please visit our website for additional information by clicking here. The fellowship includes in-depth training in cytopathology with active involvement in a hospital based fine needle aspiration (FNA) service including performance of FNA's in a pathology based FNA clinic and an onsite adequacy assessment service with pathologists attending FNA's performed under radiologic imaging or endoscopic guidance. Fellows are actively involved in all aspects of the cytopathology service including a full spectrum of gynecologic and non-gynecologic cytology specimens. It is the aim of the UIHC cytopathology fellowship to provide the trainee with the in-depth knowledge and competence necessary for the practice of pathology with specialty expertise in cytopathology. Fellows will have opportunity to gain the experience and knowledge of the practice of cytopathology necessary for oversight and administration of a cytopathology laboratory. Fellows who wish to pursue an academic career can receive the depth and breadth of training necessary to pursue an academic career with specialty expertise in cytopathology. Applications will be accepted from residents who have had two to four years of straight anatomic pathology training and from residents who have three to four years of combined anatomic and clinical pathology training. Board eligible applicants are preferred. Applications will be accepted until fellowship positions are filled. The University of Iowa offers a one-year accredited fellowship in molecular genetic pathology. The fellowship program entails a broad educational experience in both traditional and leading-edge technologies combined with knowledgeable and friendly faculty and staff providing a unique training experience in all areas of molecular pathology. The Molecular Pathology Laboratory serves as the primary site for molecular testing of genetic, infectious and neoplastic diseases from the University of Iowa Hospitals and Clinics as well as for regional, national and international clients. We have over 50 diagnostic tests utilizing various methods including next generation sequencing by synthesis (Ion Torrent and Illumina systems), qualitative/quantitative PCR, emulsion PCR, and real-time PCR, DNA sequencing, traditional and capillary electrophoresis and Southern blotting. The MGP fellowship includes six months of hands-on training in the Molecular Pathology Laboratory with special emphasis on molecular genetics, infectious disease and oncology. Another three to four months are spent predominantly in the Genetics Division of the Department of Pediatrics. This block includes one month of general genetics, one month of specialty genetics rotations in the cancer center and neurology clinics and one month of cytogenetics training. The Cytogenetics Laboratory will provide exposure to traditional cytogenetics, FISH and Comparative Genomic Hybridization using microarray technology. During these rotations the fellow learns the role of an attending physician, with levels of responsibility and supervision appropriate for the level of training and experience. The fellow is also exposed to administrative and management aspects of directing a molecular diagnostics laboratory. The remaining three months are spent with independent test development in the Molecular Pathology Laboratory or on basic research projects in any one of numerous laboratories associated with the program. The fellows are encouraged to use this time to obtain preliminary data serving as the basis for applications for career development grants from federal and private agencies. Applications will be accepted from residents who are MD or MD/PhD and have ACGME-accredited residency training in Pathology or Medical Genetics. This one-year program is designed to provide an advanced, intensive educational experience in Gastrointestinal Surgical Pathology. The fellowship emphasizes graduated responsibility and includes a significant component of independent fellow signout. The fellow will also present at our 3 GI Tumor Boards (Colorectal, Hepatobiliary, Neuroendocrine) and will be integral to our weekly, pathologist-driven GI-Liver Biopsy Multidisciplinary Teaching Conference. This fellowship represents the "GI track" within our larger Surgical Pathology Fellowship, and the fellow will also rotate through 4 months of our General Surgical Pathology Service, with Hot Seat, Frozen Section, and Consults rotations. Research is strongly encouraged, and our faculty are highly motivated to mentor trainees in clinical and translational projects. The University Hospital has 45,000 Surgical Pathology accessions each year, including 10,000 in-house GI cases and 350 extramural consultations. The GI Pathology Service handles all in-house and consult tubal gut and liver cases, including a large volume of pediatric cases. We have an active liver transplant program. Our GI Pathology faculty also direct the Clinical Immunohistochemistry Laboratory, sign out on the Molecular Pathology Service, and participate in the nation's first and only neuroendocrine tumor SPORE. Applications will be accepted from residents who will have had three years of straight Anatomic Pathology training or four years of combined Anatomic and Clinical Pathology training. Board eligible applicants are preferred. Commensurate with level of training. The Graduate Medical Education Office website (https://gme.medicine.uiowa.edu/) contains specific information regarding stipends and benefits. Program: Our ACGME accredited fellowship includes one year of clinical training in the practice of hematopathology. Five hematopathologists provide excellent training which includes bone marrow pathology, surgical hematopathology (lymph nodes, spleens), laboratory hematology/coagulation, flow cytometry, molecular pathology, and cytogenetics/FISH. Fellows have opportunities to teach and present at clinical conferences. 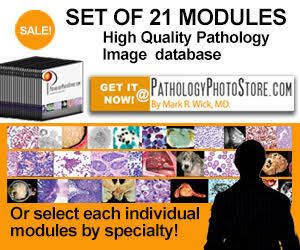 A variety of observational and clinical pathologic studies can be pursued during the year. Applications will be accepted from residents who anticipate completing anatomic, clinical, or combined anatomic/clinical pathology residency training by 6/30/2019. We offer a one year ACGME-accredited program in medical microbiology. Our program has a tradition of excellence in medical education and provides an environment of active learning that fosters not only intellectual curiosity and collaboration, but also a commitment to teaching and patient care. Priority will be given to applicants with certification in clinical pathology (successful completion of ACGME-accredited training program in CP, AP/CP). Trainees with infectious diseases or other relevant background who intend to pursue a career including laboratory directorship will also be considered. This one-year program, in existence since 1986 with over 100 graduates, is designed to provide an advanced, intensive educational experience in General Surgical Pathology, with the opportunity to develop additional subspecialty expertise. Core rotations include Hot Seat, Frozen Section, Gross Room Teaching, and Consults. The fellowship emphasizes graduated responsibility, and there is opportunity for independent signout of cases. Fellows are also integral in Tumor Boards and have ample opportunities to teach. Research is encouraged, and our faculty is highly motivated to mentor trainees in clinical and translational projects. At completion, the successful fellow will demonstrate the knowledge, poise, maturity, and communication skills to effectively function at the level of junior staff/faculty.